Show the world that #CommutesCount on this first-ever commuting challenge. 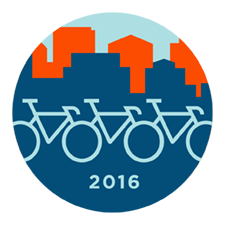 Strava Metro is proud to host the first Global Bike to Work Day. Upload a ride on May 10th that starts in one place and ends in another and you’ll complete the challenge. Not only will you enjoy a healthy way to travel and make the world just a little better, but by uploading your commute to Strava, you’ll make a difference. Metro anonymizes and aggregates the millions of human-powered commutes uploaded to Strava every week, then partners with urban planners to improve city infrastructure for cyclists and pedestrians. Some countries have a “bike to work day” and some don’t – now there’s at least one for every cyclist, and it’s the same day no matter where you live. Enjoy your ride and don’t forget to share your story on other social networks with #CommutesCount. Find out more about Strava Metro and watch our #CommutesCount animation here. The leaderboard will not filter out rides that do not fit this description. Please respect the spirit of the challenge and show your support by logging a commute on May 10th. No prizes for this one. Just the satisfaction of knowing that you've made your commute count and a unique digital finishers badge in your Trophy Case. Simply bike to work on Tuesday 10th May. Q: When do I have to complete the Bike To Work Challenge? A: You can ride any time during May 10th, but you have to make sure the moving time of your ride is over 5 minutes and under 24 hours. A: No, simply complete your ride at your own pace.